True to the name, Burst is a brand that is guaranteed to deliver mouth-watering candy flavors in a high-vg blend. 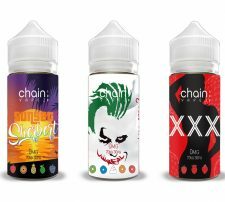 This line features two unique flavors at our collection here at Crescent City Vape, Straw-Burst and Sher-Burst. Straw-Burst is a strawberry chew candy with fresh taffy on the exhale. 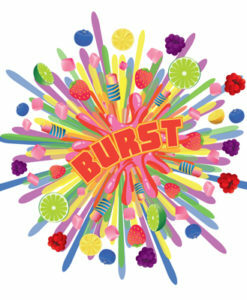 Sher-Burst is a creamy sherbert sorbet mixed with fresh pulled taffy. 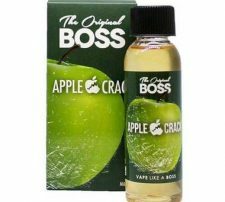 Just like your favorite childhood fruit chews these e-juice blends are sure to delight! 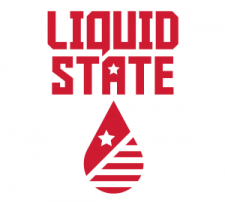 Burst E-Juice, bottles their juice conveniently in 60 mL bottles which we have for just $25.99! Straw-Burst – a strawberry chew candy with fresh taffy on the exhale. Sher-Burst – a creamy sherbert sorbet mixed with pulled taffy.